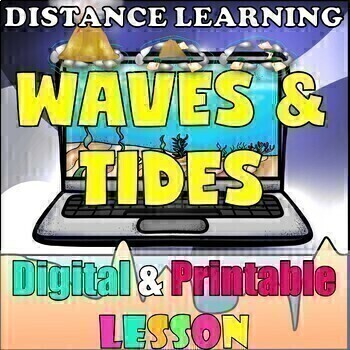 Students will explore the ocean by completing 5 lessons (Cornell notes, slide presentations, activities, warm-ups, and mini-quizzes), demonstrate their knowledge with editable assessments and reflection activities, produce a diorama project with rubric, argue to support their claim with evidence and reasons in a philosophical chair debate, organize their digital or physical notebooks and so much more! This product offers you the flexibility to pick and choose which lessons/units you want to include in your class. 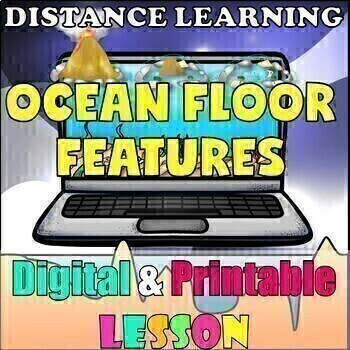 This product also gives you the option to go digital, printable or mix and match to fit your students needs. 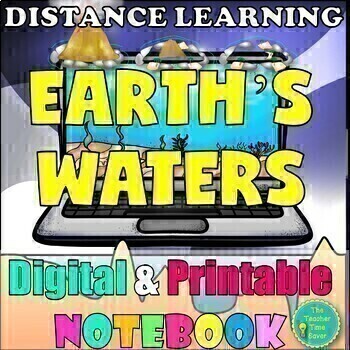 This no-prep digital and printable (prints on 8.5 X 11 inch paper) interactive notebook bundle brings the use of technology into the classroom. By using an instructional web tool-- Google Drive, Google Classroom, Microsoft OneDrive, or a learning management system—your class can go paperless! Digital I.N.B. allows students to access, edit and even print files using the web from any computer or mobile device with internet access. Students type directly onto Google Slides. Students get college readiness and become 21st century learners! This product is part of my GROWING DIGITAL AND PRINTABLE BUNDLE, WHICH INCLUDES THIS PRODUCT AND ALL MY PRINTABLE AND DIGITAL BUNDLES PLUS ALL OF MY FUTURE DIGITAL BUNDLES FOR FREE! Strategies and tips to help grade, organize, and use the interactive notebook with fidelity and confidence. Table of contents, score sheet, and notebook rubric. There is a filled-out table of contents and score sheet to help organize and pace teacher. Score sheet helps students keep track of their grades! Teachers will have stream-line grading too. Provides standards and benchmarks, a word bank with all vocabulary words, and pictures related to unit. Ten true and false statements to identify what students know, what they think they know, and what they will learn. A presentation presentation follows along printable lesson. An answer key is provided. Each anticipation guide question follows their according Cornell and presentation to review the answer and acts as a warm-up. There are two versions--filled and fill-in-the-blank. Notes are completed by following along with the presentation. This allows you to walk around and support students, engage with students, or sit comfortably in your seat. There are five criteria to the Cornell notes: header, student notes, drawings of main ideas, summary, and student-derived question (Depths of Knowledge). The header includes the Next Generation Science Standards. Presentation guides direct instruction as students follow along and complete their Cornell notes. Presentation revisits anticipation guide statements from the beginning of the lesson and at the end (serves as warm-up), has built-in mini quiz at the end of each lesson to check for understanding (5 multiple choice questions with answers), pictures to help learn the material, and starter sentences to support students complete the summary section of their Cornell notes focused on the essential questions (differentiated instruction). This is a PDF and is not editable. An activity follows the Cornell note in order to support and reinforce students' understanding of the content and provide students an opportunity to think critically by creating something new with the input received from the notes. There are five criteria: written portion, art, color, reflection, and an “excellent" component to encourage students to do a quality piece of work. All special assignments come with directions and rubrics. Templates for some special assignments are included. One test and quiz are included with answer keys. A reflection activity follows giving students an opportunity to reflect on their understanding and studying skills. Each criteria is worth one point making each Cornell and activity worth five points. For easy grading, simply circle missing components or stamp to designate full credit. As a teacher, I am out the door after the bell rings and I do not bring any grading home. I truly am the teacher time saver! Make sure to extract file in order to open the zipped file. If you purchase this product and the unit bundle, please note you will be purchasing duplicates so buy the bundle and save time and money! This product is not editable, except the assessments, Cornell notes, score sheet, and warm-ups. PHYSICAL SCIENCE COMPLETE YEAR MEGA BUNDLE! EARTH AND SPACE SCIENCE COMPLETE YEAR MEGA BUNDLE! -BIOLOGY COMPLETE YEAR MEGA BUNDLE! ★ Want all my digital and printable bundles?! Check out my GROWING DIGITAL AND PRINTABLE BUNDLE, WHICH INCLUDES THIS PRODUCT AND ALL MY PRINTABLE AND DIGITAL BUNDLES PLUS ALL OF MY FUTURE DIGITAL BUNDLES FOR FREE! Stay connected to be the first to know about store discounts, free products, and product launches!